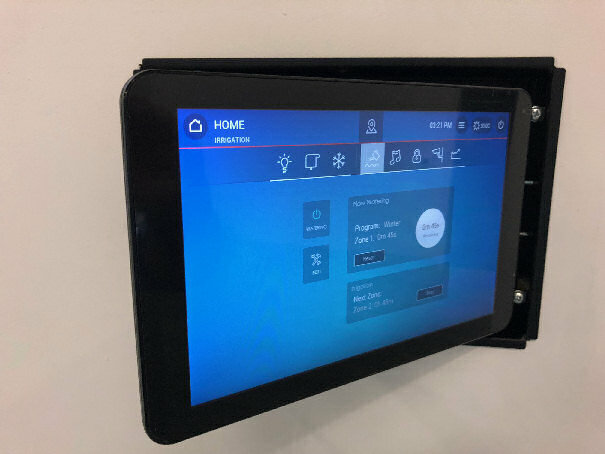 The Clipsal Ethernet Touch Panel is the suggested replacement for the now discontinued Clipsal CTC3 Colour Touch Screen for C-Bus networks designed to be utilised in conjunction with the Clipsal SHAC (and NAC) Smart Home Automation Controllers. 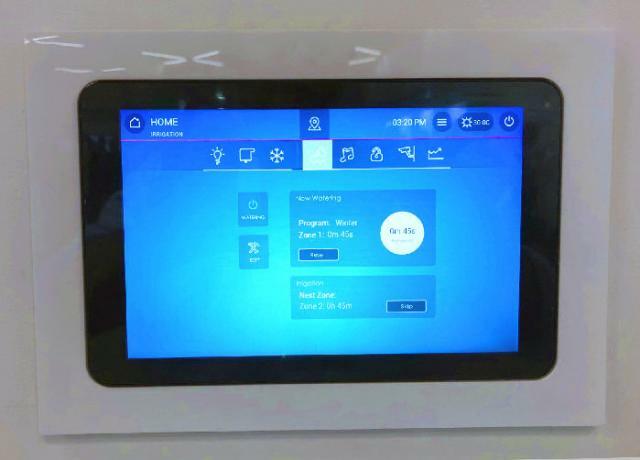 It continues the ability to control your home by providing a neat solution for a good looking GUI graphical interface for reliable control of your home's automation systems. The recommended (but optional) White faced recessed wall box (5000ETP10WB) is shown in the product images on this page. 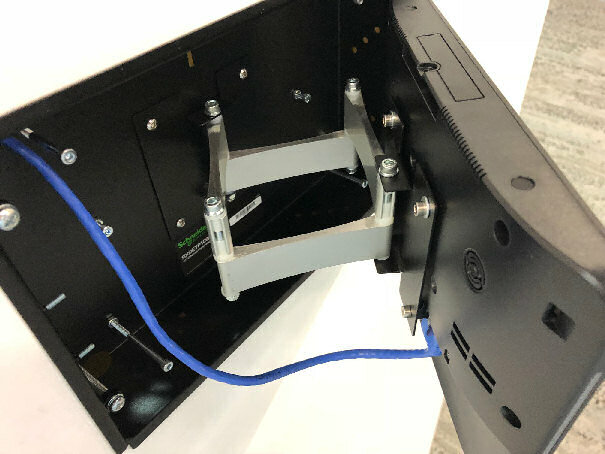 The 5000ETP10W can effortlessly swing out of the 5000ETP10WB wall box to access rear interfaces. 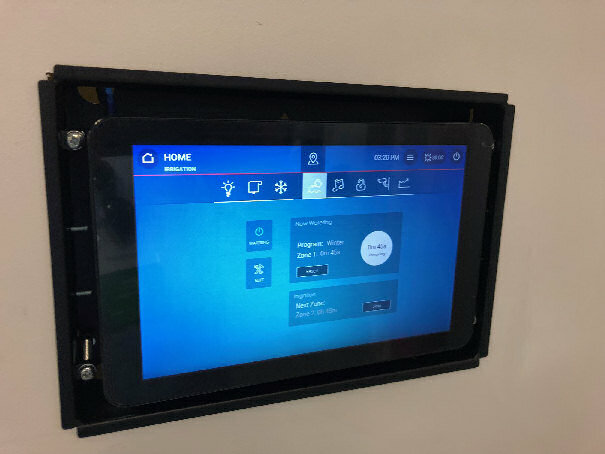 The white touch screen bezel is a convenient magnetic clip on surround supplied with the wall box.